The T.N.L. event runs every other Thursday night at The Liquid Playground and started out with about 10 wakeskaters and has grown to a diverse group of over 85. The event is a nice way to create a community and give back to my customers. 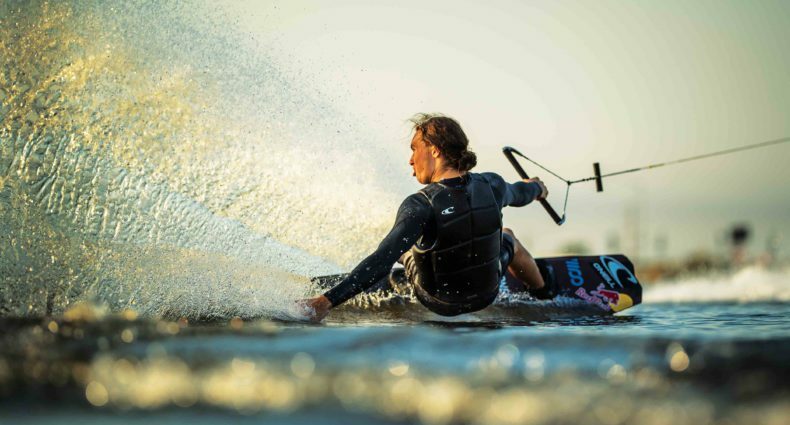 We showcase the newest wake releases on our 8 foot screen and offer free pizza, red bull, and hand out a ton of prizes at the end of each film. This past event on July 23rd was special since I invited my hero and mentor, Greg Nelson, Hyperlite rep. Joe Sassenrath, and a few members of the Nor Cal Hyperlite team. We went all out with the red carpet, custom backdrop, and bbq. The crew from That Was Rad also came out and shot video and photos of the event. OFFER A DIVERSE PRODUCT LINE By hand picking companies that not only create the best product in our industry but also give back and support the sport we love. 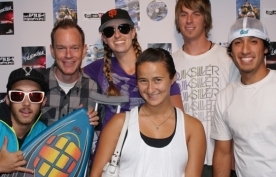 WE ARE ALL ABOUT COMMUNITY Demo days and clean-ups at the lake, movie premiers and art shows at the shop, and collaborations with the local schools and clubs-we want to be a vital part of the watersports community in any way possible. CUSTOMER SERVICE IS OUR TOP PRIORITY We offer you a sales team of die hard riders that are factory trained and understand your need as a first time rider to the weekend warrior. We offer demo days for you to try our product before you buy, and an industry leading performance guarantee program that lets you buy with confidence. Can’t get down to the shop? Give us a call and ask about our home consultations where we bring the gear to you. NOT JUST A SHOP, BUT A LIFESTYLE The Liquid Playground is a collaboration of art, culture, and product. It was founded on a love of watersports and a passion for perfection. This is my life, this is my dream, your happiness is my goal!